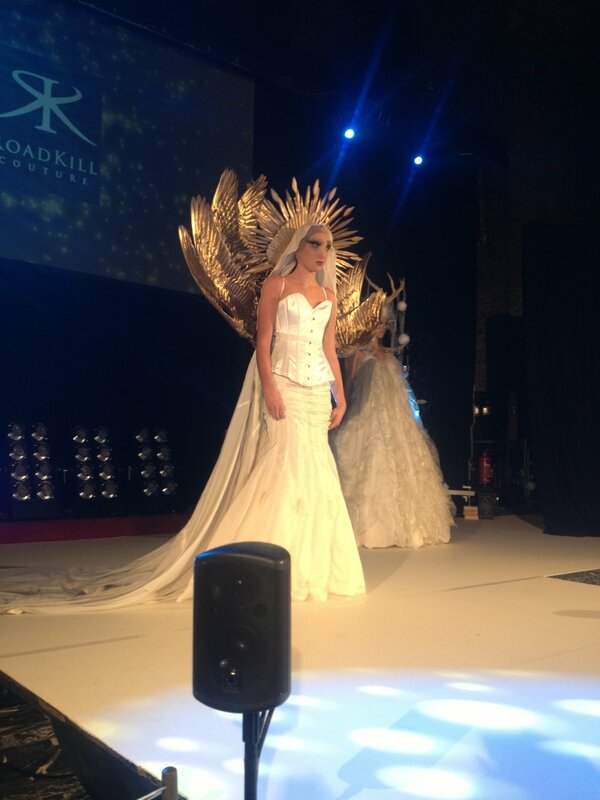 So I have been lucky enough to be writing for the Brighton Fashion Week blog for the past couple of months. Therefore the opportunity to attend the actual fashion show was a no brainer! 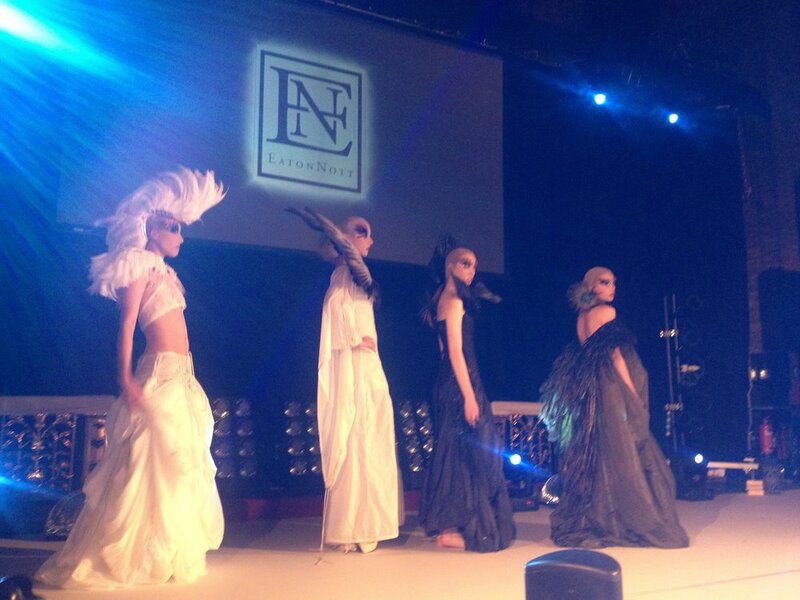 The show, being my first official Fashion Week (Clothes Show doesn't count), was completely amazing to experience. Set in St Bartholomew's Church in Brighton, it felt very majestic. And the people watching is always interesting; from ballgowns to jeans and converse, it shows how Brighton really is individual in it's fashion sense. The Zeitgeist show started with Tata Christiane showcasing "Comet Club Collector". She was one of two of the designers that I interviewed before the show, and her collection was amazing. 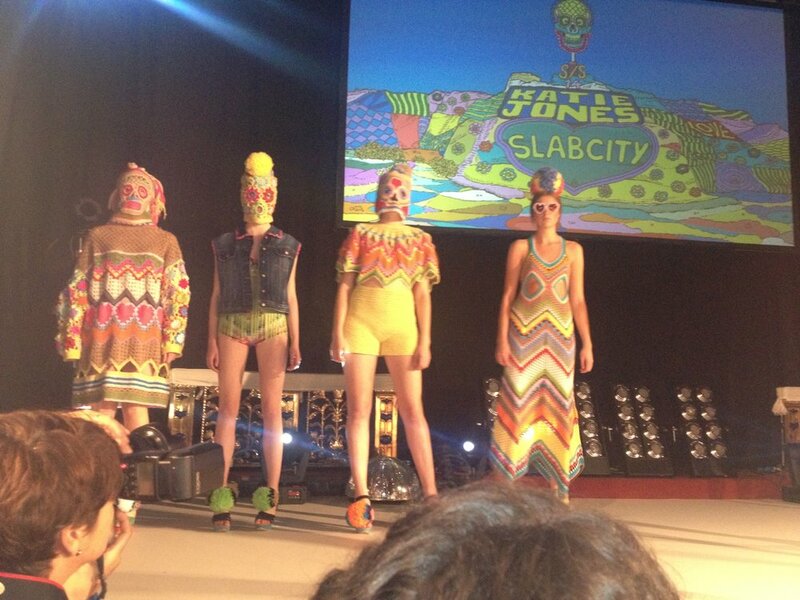 Bright colours, futuristic prints and fantastical music, this was one of my favourites of the show. Then Aimee Matthew-John's "1. Trousers" which was my top favourite! Being someone who likes simple designs (hence the title of my blog), her pieces were finely tailored with muted colours and pops of neon. However when they turned around, the designs were backless. The juxtapostion of formal trousers against seductive bare backs is what made me love this one the most. Faye Baldwin's "New Pilgrim" was next, a mix of military, pilgrim and cowboy menswear. Then Rebecca Pearson of Belle Bejewelled's "This is Exile", which was made up of bright jewel colours and strong jewellery. I was also lucky enough to interview her before the show as well, and it was interesting to hear about how she recycles old materials to make her jewellery. Magnea Einarsdottir's "Still Attracted to Opposites" were monochrome knitted pieces, and Hyungtae Kim's "On the Run" consisted of black coats with intricate layers with bold zips. The final of the first half was Nav Bains/Major London 05 "A/W13/Misunderstood" which had a strong finish of 80's bomber jackets against pencil skirts with pastel patterns and embellished details. The first half was amazing, and the second part consisted of much more outlandish designs. Jovana Markovic's "A/W13" was creepy enough with the music box soundtrack but her designs of leather and floral lace in an oxblood colour were a very pretty yet strong creations. Katie Jones "Slab City S/S14" was weird and bright with knitted facemasks, whilst Brian Chan's "The Fusion of Fine Art and Fashion" was like a child's playtime; boxes painted, wire moved and mainly cardboard cut outs. Frances O'Leary's "Time and Lines S/S14" was romantic flowing designs with floral embellishment and Dioralop's "4" was also terrifying, with angry looking men storming the runway in black outfits with wet heads and string over their faces. Of course the finale was the biggest and most exciting. Jess Eaton, a designer who has been showcasing at Brighton Fashion Week for years, creates collections from already dead animals. The collection "Parachutes and Birds (The Roadkill Couture AIR collection)" really made you think about the animals she used. With majestic feather designs and highland-inspired antlers adorned with decorations, you can see some amazing work has gone into every one of the designs. That was the first show of the week, and I was pretty impressed/scared of many of the designs. Hopefully the Sustain show tonight will be just as amazing!